Free exhibition you say? Only if you insist. 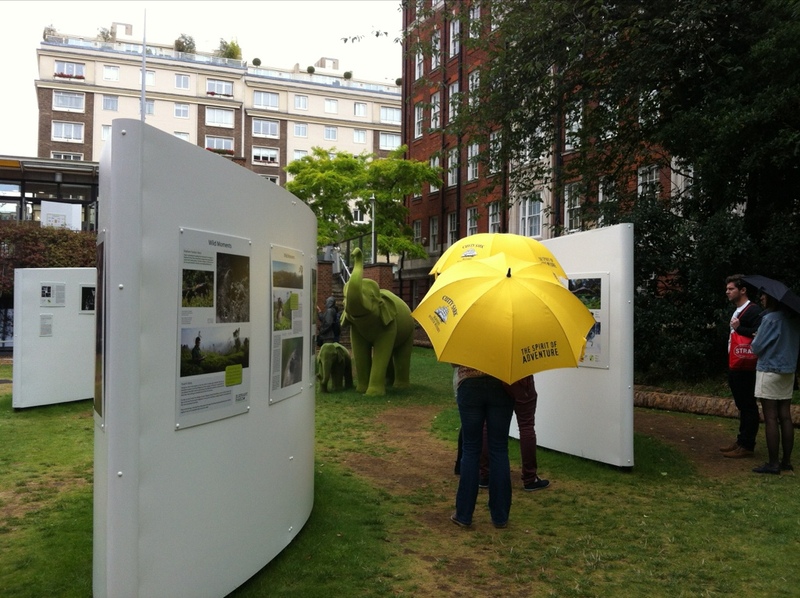 The Royal Geographical Society in London was running their (now) annual Travel Photographer of the Year festival. It was both free and well worth the visit. This exhibition had some serious indoor outdoor flow (most of the photo displays were outside) but the thoughtful RGS had provided umbrellas to protect you from the predictable London drizzle. The different categories ranged from people watching to water, which made each display board an entirely new nugget. The descriptions and stories that accompanied each photo is what really made this exhibition special. It helped you understand not only what the photo was about, but also what the experience meant to the photographer. One of the stand-out photos was taken by Guy Lankester (below). I love the moment that it captures, a moment that we all feel at some point in our workday – the wistful look out the window. Check out the rest of the exhibition here. Oh and there were elephants. Green elephants.